Phutthamonthon, also spelled Buddha Monthon, is a massive park in the Phutthamonthon district, Nakhon Pathom Province of Thailand. The park is created for recreation as well as for religious purpose. 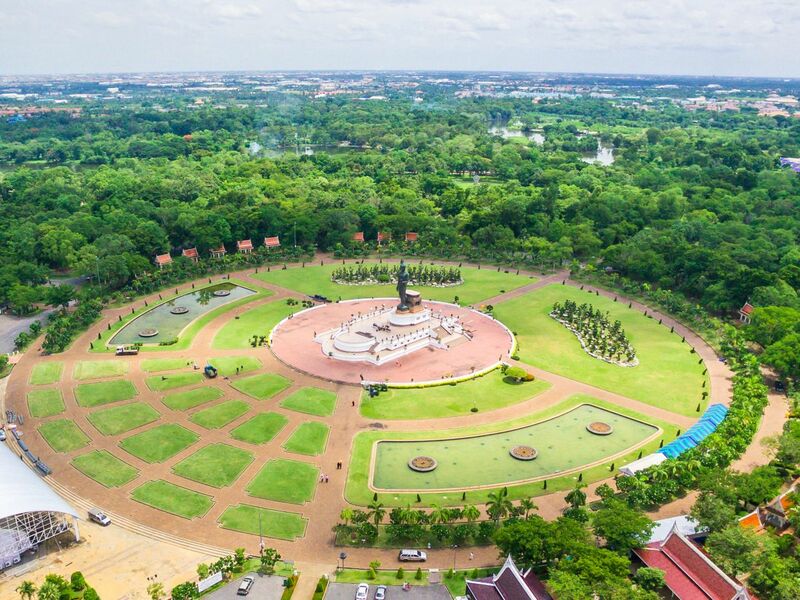 The park is highlighted by a 15.87 metre tall Buddha statue, which designed by Corrado Feroci, the great artist served for Thai governmenet and considered the founding father of Silpakorn University. The statue is considered to be the tallest free-standing Buddha statue in the world. 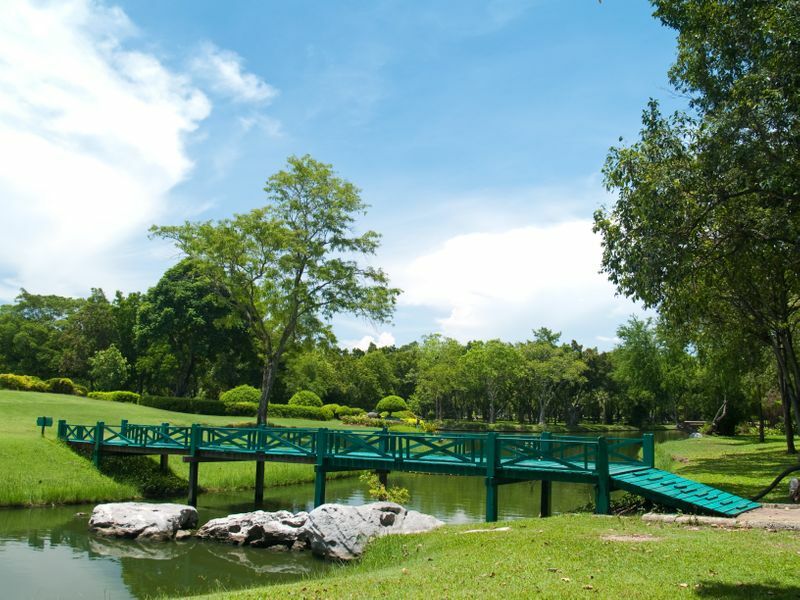 The park was built in 1957 as the year marked a significance of 2500 years in the Thai Buddhist Era. 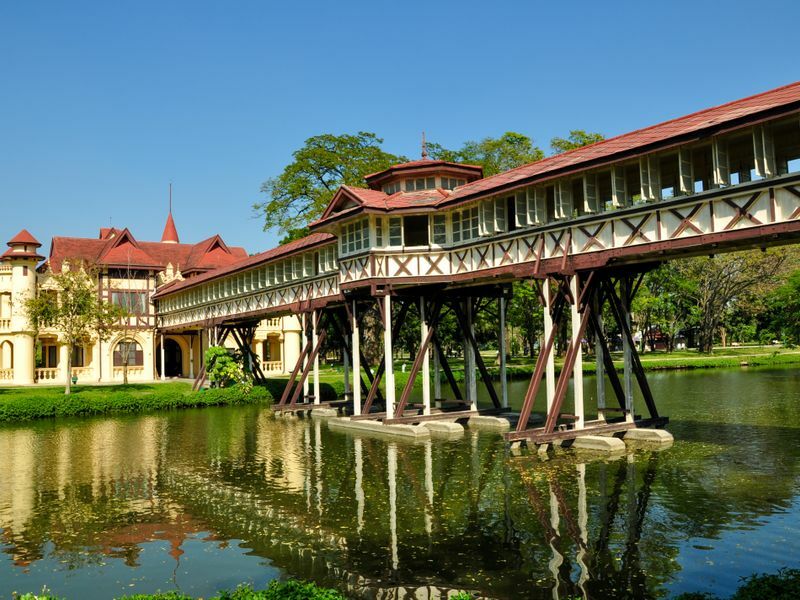 The park take up an area of approximately 400 hectares, or equal to 2500 rai (Thai traditional unit). Upon completion, the park was inaugurated on Vesak day (Vissakha Day), an important day in Buddhism which commemorates the birth, enlightenment, and death of the Buddha. Around the base of the statue, there are sites marking significant events in Buddha's life including his birth that is symbolized by seven lotus flowers, his enlightenment by the Bodhi tree, his first sermon by his followers and his death in a unique reclining pose. Closeby, there is the marble temple or Viharn which contains the entire Buddhist canon engraved in 1418 marble stelas. Phutthamonthon is famous among runners as well as amature cyclists thanks to abundance of trees there and the track of about 2.5 kilometers in length. Visitors can also find themselves feeding fish in the pond with bread sold byside, as well as doing some picnic and relaxing with their companies. Phutthamonthon is open every day from 5:30 am to 7:00 pm. It's a refreshing park to visit. Locals come here on weekends to rather relax mostly than for the religious purpose. Despite your belief, you're welcomed to visit and there isn't any religious obligation to follow. From time to time, you might hear the sermon and the monks walking out from the ceremony. Beware of the heat and sweat. Some drinks and snacks can be bought inside.